Muvi provides an out-of-the-box CMS, where you can manage your entire OTT platform across all devices, apps, and platforms, from a single admin panel. Whether you want to manage your content players or opt for different monetization options across devices, Muvi’s powerful CMS lets you do it all. No matter what size and length your content is, or what the complexity of your playbacks is, Muvi offers an enriched CMS, that handles all the worries of managing an OTT platform, without having to write a single line of code. The intuitive CMS lets you manage everything at your fingertips. Muvi has a reach on all possibly available OTT platforms, be it an Apple TV or Roku, on websites and Mobile apps. With Muvi’s powerful CMS, it is absolutely easy to manage all your Apps and content in a single CMS, without worrying about multiple logins and multiple dashboards management. You can manage multi-format content across audio, video, physical goods all at a single unified place. You can build a content library as large as you want to on the Muvi platform using the CMS. The platform lets you import video and audio files with similar metadata in bulk, from CSV files. This speeds up your content addition procedure and eases content management. So, you can create a library and get going in no time. Muvi CMS lets you design, display and manage complex static pages for your content and for capturing consumer information by simply using a drag and drop function in a single enriched dashboard. As a part of content management, you can regulate when to release which content, even when it’s the middle of the night or early in the morning. With Muvi CMS you can schedule a content release for a later time and date. You can not only schedule single part content but also multipart content in both parent and child format. So, it does not matter if you are busy in a meeting, or flying, or having a sound sleep; the platform will publish the content at your intended time. On Muvi, you can link related content, irrespective of the format. Muvi, being a hybrid platform lets you offer audio or video content and an associated physical product at the same place. You can link a TV series to its music album on the same page. You may also offer an action figure alongside the latest action movie. This opens a broader opportunity window to enhance your sales and maximize revenue. Muvi CMS seamlessly provides end-to-end capabilities for managing your user subscriptions & Packages. You can configure your choice of revenue model from subscription, transactional and ad-supported plans, create bundles, and manage them all at one place. Muvi’s rich and powerful CMS lets you manage all your online invoices, subscription billings & online payments from multiple currencies and territories all using just a single CMS. Muvi CMS provides you full control of your content along with access to various tracking and security measures inside your dashboard, so you can ensure complete security of your platform and manage secure integrations. Muvi CMS includes all the capabilities you need to manage and stream your media players and its content. You can even manage 3rd party content seamlessly, which you might have obtained from any other platform through the Muvi CMS. You can manage all your videos in one place across all devices and platforms. You can add, edit, delete, search, create playlists and playouts and even manage different ad systems (pre-roll, mid-roll, and post-roll) on your videos using Muvi CMS. Images are a powerful way to depict the nature of your content and thus, Muvi CMS lets you add, edit, modify and display Images the way you like. You can even add image titles & tags, create photo galleries, customize slideshows and add page elements all from a single CMS. You will certainly not find any other platform displaying your pictures better. Muvi CMS allows you to manage all people associated with each of your content such as cast, crew, artists, singers, composers, performers, makers, endorsers, influencers, etc. You can add bios and summaries along with their filmography or discography. Muvi CMS even allows you to add Cast & Crew Metadata. Muvi CMS has a list of pre-set metadata information powering internal search, better discoverability, and relevant results so that your viewers can find anything and everything on your platform. Muvi CMS is enriched with various analytical abilities so that you can track the performance your content and channels across all platforms. You can access every insight at one place and improve your strategy with the help of Muvi’s comprehensive reports. So, track, analyze, plan and strategize your platform and win your customers. Want to restrict access to your partners? With Muvi's CMS, you can enable your content partners or investors with view-only permission, restricting them to only view the CMS and make no changes to your platform or contents. Unlock the Automatic language detection feature of your Muvi platform that tracks the IP address of your subscriber’s device and geographic location at one go. The feature automatically changes the language admin setting basing on the subscriber’s country without requiring any manual intervention. Also, you can set a default language per country. Your powerful CMS is now smarter and more responsive than before! Business invoices are no more boring! Tax information, additional service description, your business motto or whatever you feel like adding, you can add easily in your invoice by using Muvi invoice editor. Ink your creativity on your customer invoices and make a statement while billing your end-users. 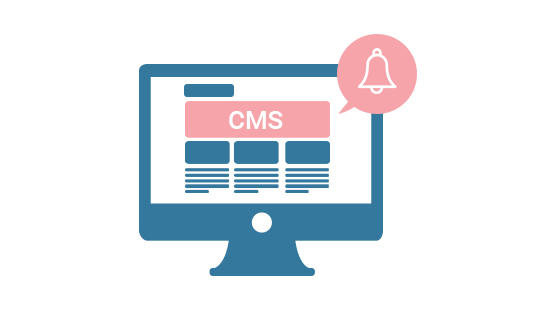 Now get readily notified about all the product releases, bug fixes, and enhancements on your white labeled platform by the help of a dedicated notification centre in the CMS. All at one place. Clear and sorted.